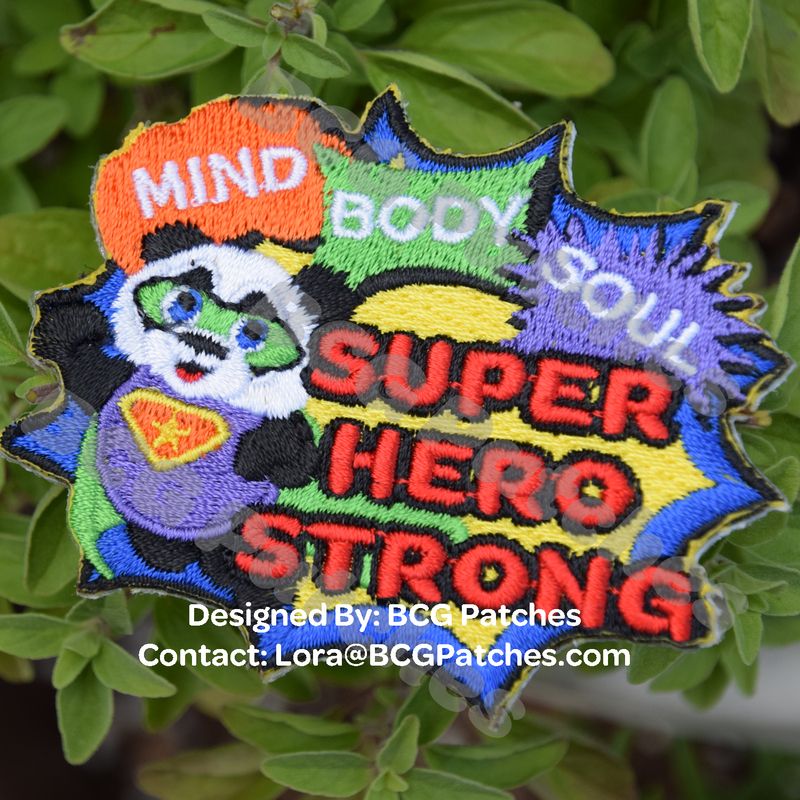 This is the May 2017 patch release day at BCG Patches. Super Heroes come in all shapes, sizes, colors, and have a various array of “strengths”. Some use their muscles. Others use their minds. Others use the art of cleverness to save the day. The program guide has a wide variety of ways to earn the patch and become Super Hero Strong! I'm so excited about this program for so many reasons. A good friend and fellow fearless leader helped develop the program. She is an amazing woman. Without her, this program guide wouldn't have been anywhere near as awesome. 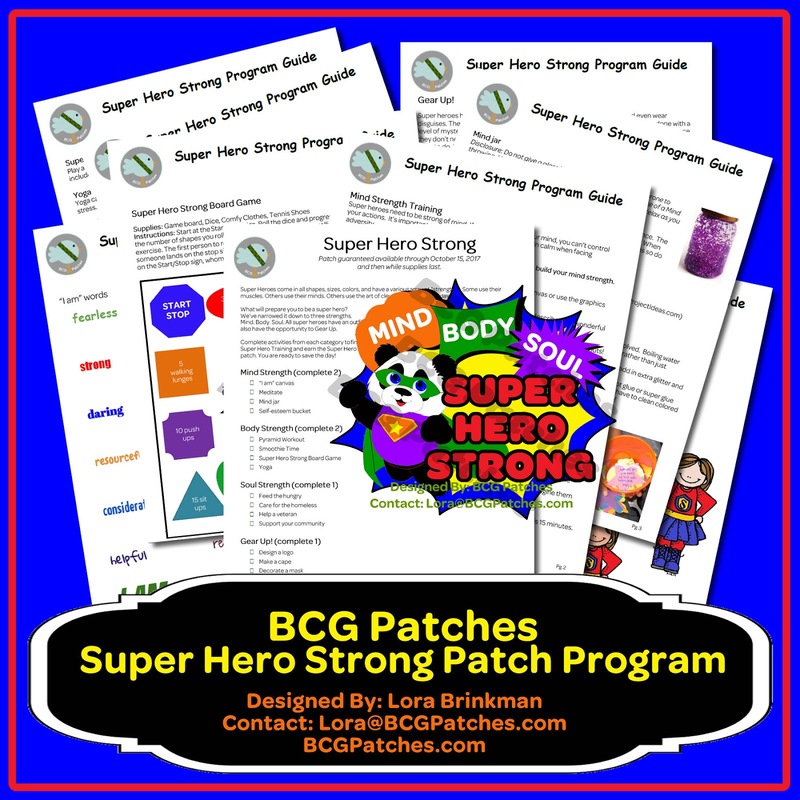 In addition to my friend, Lisa, helping on the guide, I am overwhelmed to announce Teresa Power's, author of The ABCs of Yoga for Kids, sent BCG Patches an exclusive Yoga for Kids poster fora 5-Minute-A-Day Yoga Routine that is great for all kids (and adults!). We can't thank her enough for allowing us to include her amazing yoga program with our Super Hero Strong Program Guide. You can find the poster on the last page of the Super Hero Strong Program Guide. The sheet includes 10 yoga poses to form a balanced yoga routine for kids and adults to practice for just 5 minutes a day. The poses only contain standing postures, so they don't require any extra equipment (not even a mat! ).